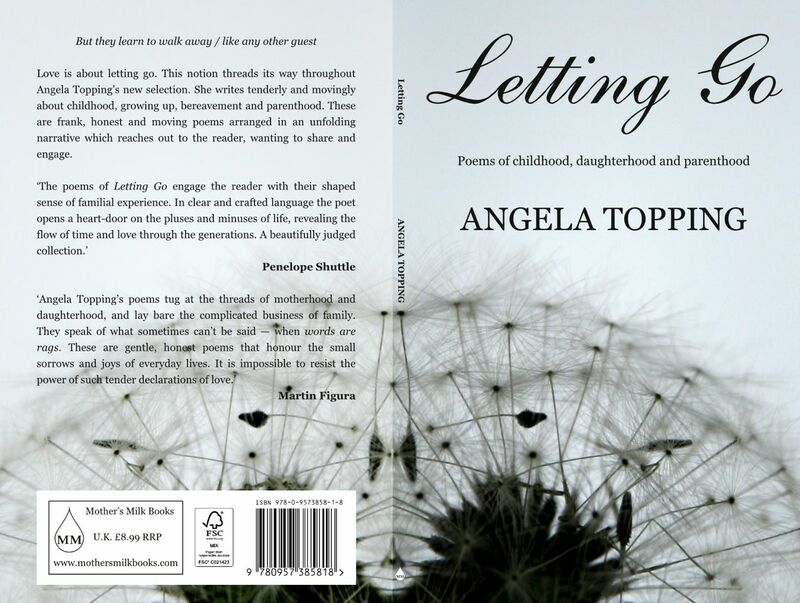 Poem by Angela Topping, from her latest collection, Letting Go (Mother’s Milk Press 2013). dress and veil, clutching his arm. He is keeping me safe. I’d seen myself in mum’s cheval mirror. He’d told me he felt proud. me cry, or bear my tear-stained cheeks. chocolate for me, in the life I was leaving. I’d roller-skated with my friends. walk up the aisle to my future. Dad’s steps are steady as heartbeats. He loves me enough to let me go. and it is I who must let my father go. the reverse journey from church. where I no longer live. Mum clutches my arm.